Sanaz Sarah Bereliani received her J.D. from Whittier College School of Law, with a focus on reorganization and bankruptcy. During law school, she worked as an invaluable law clerk to a prominent Superior Court of California judge and was later offered an impressive externship at the Equal Employment Opportunity Commission (EEOC). Ms. Bereliani is admitted to practice law before all Superior and Federal Courts in the State of California, including the Southern District of California, Central District of California, Northern District of California, and Eastern District of California. Ms. Bereliani strives to provide her clients with high quality bankruptcy representation and alternatives to bankruptcy including foreclosure defense, debt settlement, and creditor violations litigation, amongst other services at reasonable prices. Her vast knowledge and experience in managing the filing of over 1,500 cases has proven invaluable in the handling of her current and future cases. Ms. Bereliani is dedicated to providing personal attention to each of her clients. Ms. Bereliani is known for her friendly and professional demeanor with clients, and is a strong and passionate advocate in court. To Ms. Bereliani, the best part of her job is when a client walks into her office overwhelmed by their financial circumstance and then walks out of her office armed with a plan to save their home and a smile. 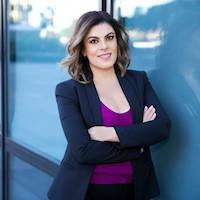 Ms. Bereliani grew up in Los Angeles and graduated from the University of Southern California (USC) with a Bachelors of Science degree in Business Administration from the Marshall School of Business with a focus on real estate law and finance. She enjoys traveling, spending time with her friends and family, cooking and oil painting.